Hair Scrunchies Make a Comeback, Get One for $95! 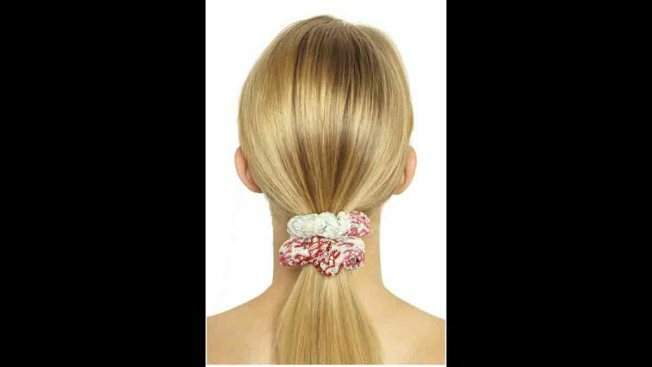 Missoni's scrunchie sells for $95. Nearly $100 for a scrunchie? The colorful fluffy hair ties that once adorned women's hair in the 90s are making a comeback. For $95, fashionistas can have their own designer Missoni scrunchie made of 100 percent rayon to keep their coifs in place. Make sure to set aside a cleaning budget because it takes a specialist to keep it looking new, according online retailer net-a-porter.com. For those who are a little short on cash, Marc Jacobs is selling a version of the hair tie that is embellished with his logo for $32. Still too expensive? For the trendsetter on a budget, Top Shop, Asos, and of course the local drug store sell the once-ubiquitous scrunchie for a fraction of the cost.